"Elena is a top agent. She found me a renter in less than a month. She also helped me sell the property to the renters! Elena is an awesome agent who is diligent and determined like no one else I've worked with. I highly recommend Elena." "Dear Prospective Homeowners: It is our immense pleasure to recommend Elena Gorbunova as a real estate agent for any individual or family searching for the ideal home for their unique situation. Elena had an initial meeting with us and took diligent notes regarding our request.. A master with the contract negotiations, Elena came up with a deal that was good for us and made the buyer happy as well. Throughout this home selling process. She managed to sell our condo for an excellent price, especially in the current market situation. We found Elena to be a highly attentive agent, almost as if we were her only customers, although we know that was not the case. She returned all phone calls and emails the same day. We never felt neglected or unimportant. She is also highly personable with an engaging personality. Elena was honest about some minor changes that we needed to make in our condo to attract buyers quickly, and her advice worked like a charm. We are pleased to recommend Elena Gorbunova to anyone looking to buy or sell a home. She is hands down the best in the business in our opinion and if we ever need to move again she will be our first choice in real estate agents. If you want to discuss our experience in more detail please feel free to contact either one of us at 703.344.5127 or by email at Ingorokva035@yahoo.com"
"In a true sense of the word, Elena is a real professional when it comes to the matter of sales and purchase of real estate. She truly made herself accessible to answer all our questions and gave us all the assistance we required to close the transaction of purchase of our condo. We believe we learned a lot about real estate transactions during the time of our association. Over the years, we have dealt with a good number of real estate agents in several states and we can vouch that Elena stands out as the perfect model for a real estate profession. She is top quality." “I have hired Elena’srealestate services on three occasions My husband and I are so impressed with Elena’ s professionalism, experience and knowledge! She has never disappointed us. She guided us step by step on the sale of our condo. And it happened so quickly; in only two weeks! In the past, Elena had found excellent tenants for a few of our properties with equal speed. On our first meeting, she gave us all the information we needed including her analysis of comparable properties and her assessment of the market. But we also appreciated that Elena heard our opinions and our points of view. She also made herself available to us any time of the day, any day of the week and communicated with us in a prompt manner. Her major asset is her negotiations skills, which are superb. And she knew how to troubleshoot any issue that came along. She always looked out for our interests and respected our requests. I highly recommend Elena for all types of Real Estate transactions. She will never disappoint you and she will exceed your expectations! Thank you, Elena!" 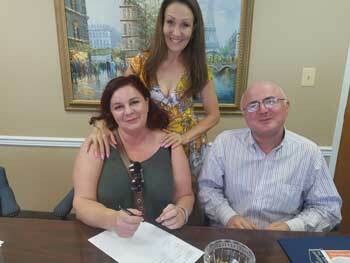 "Elena worked so hard work to sell my condo! It is a weight lifted and she made the process easy, understandable, and really fought for me throughout the negotiations! I appreciate Elena's excellent customer service and negotiation skills. Elena truly made herself accessible for questions at any hour of the day and I feel I received an education working with her! Thank you to Elena for helping me to complete the renovation project with confidence and for ensuring I received the sale price reflective of that work! Elena is amazing!" "Elena is an impressive professional. Her get-things-done attitude and and ability to back it up with action produced a quick sale above our asking price. From day 1, Elena used data to provide fact-based advice that gave me confidence in our marketing plan, including but not limited to our asking price and the apartment fixes/improvements essential to the property generating timely offers. She always operated with a sense of urgency, which furthered my confidence that she was going to do everything in her power to make the sale. For example, in order to ready the apartment for pictures and an open house, Elena not only provided me advice regarding reliable handymen and cleaners that I should consider hiring, but she also helped me ensure that they delivered in a timely manner. In summary, Elena exceeded my expectations at all turns and would be my first choice should I need a sales associate in the future!" Thank you so much for helping me with the sale of my condo! Being a former agent myself, I did my research before I reached out to you. After my tenant of 9 years moved out, I decided it was time to sell due to the increasing condo fee and the anticipated rate hike (I have an arm loan). You helped me with the walk-through of my old tenant since I was away on spring break with my kids. You assisted with contacting and scheduling contractors to get the unit ready for sale, by the time I came back, it was a completely new unit! With your guidance, we staged our unit. Most importantly, your knowledge and insights helped me decide on a magical number to sell the unit which I am happy with and which was very attractive to prospective buyers. I still can't believe the unit went under contract at asking price in less than one day! From contract ratification to the settlement, we had some hiccups; for example the buyer's loan and appraisal and the walkthrough items. But your tough negotiating and quick problem-solving skills saved us at every turn. I feel really blessed to have found you and would like to express my sincere gratitude for all you have done! Thank you so very much!!! "5 stars are not enough to express how satisfied we were with the quality of service and negotiation skills we received from Elena. She really knows what she is doing, that is from the conception of us thinking of buying our home until signing and completion of our purchase. Elena patiently walked us through and held our hands through all the process we needed to do. Never a stressful moment since she always makes sure that everything was okay. With regards to her negotiation, we may say it is Superb! Elena was able to negotiate for us a Total of 10% of the list price resulting with us having more savings than we expected. We highly recommend Elena be your agent if someone is either buying or selling their home!" Richelle T. & Erin M.